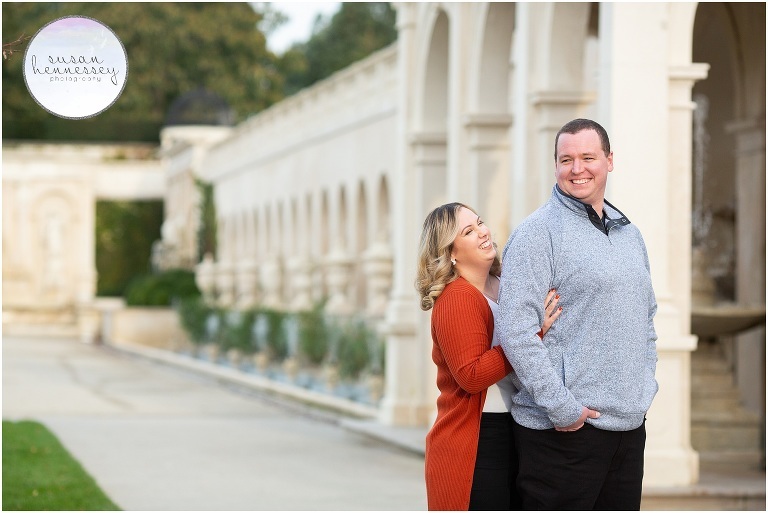 Last Fall, I photographed Kim and Tim’s Longwood Gardens Engagement Session! Kim and Tim met in college, they had the same major and they met in a psychology class during a summer session when they sat next to each other on the first day. On their first date, they watched American History X at his parents house as a school project. Kim knew Tim was the one when she felt like she could reveal her true self to him without question or judgement. He has always been open and accepting and that is one of her favorite things about him. Click here to view their maternity session that I also photographed at Longwood Gardens back in 2017! 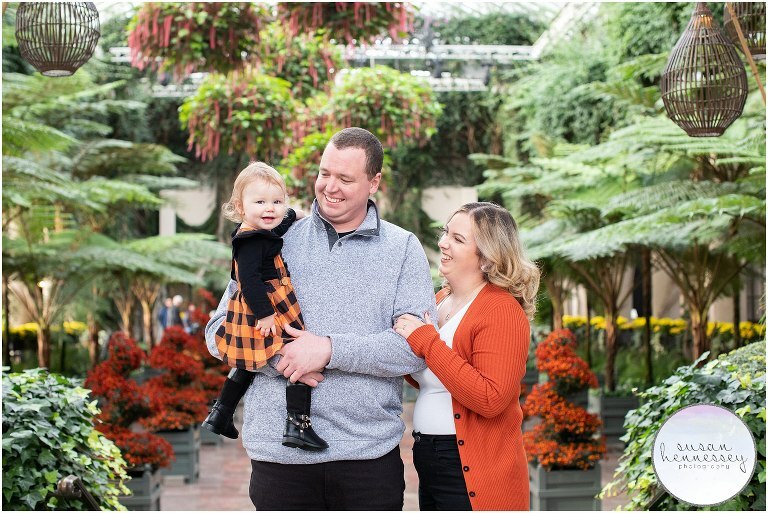 When these two are not planning their unique and edgy Halloween themed wedding at Kings Mill in October of this year, they love spending time with their daughter Juliana (who we included in their Longwood Gardens engagement session!) and watching her experience things for the first time. They love to eat, watch Netflix and going to concerts. Once married, they cannot wait to continue watching Juliana grow up and possibly adding more children to their family. Get the big stuff done first and as soon as possible and take care of the little things as time goes on. Don’t be afraid to tell someone what you like or don’t like. Have fun! It’s one of the most important days of your life and although it’s a lot of work you want to enjoy yourself too. Watching everyone from both sides come together as one, getting to call my best friend my husband. 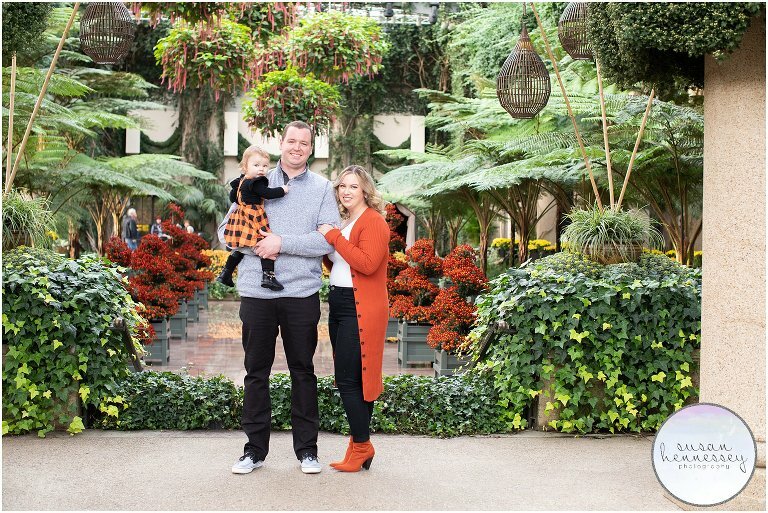 Are you planning a Longwood Gardens engagement session? Click here to fill out my contact form for more info!